This spring, my bank got eaten. I was very upset. 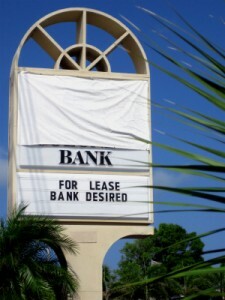 By eaten, I mean taken over by another bank. I shouldn’t have been shocked that this kind of thing happened – after all, I spent over twenty years in the investment business, so I saw plenty of merger and acquisition activity. Plus, I’ve spent the past few years writing extensively about the banking industry, so I know what goes on. But did it have to be my bank? I was quite fond of my bank and, at 28 years, it was the longest business relationship of my life. Plus, the reason for the buyout was kind of galling: the parent company had missed earnings because of setbacks in their international investment banking activities; they needed some quick cost cuts to appease investors, so they sold their upstate New York branches. Myself, I would have cut the international investment banking department. The upshot is that my local branch was among those sold. Along with that branch went my savings account, my checking account, and my credit card account. I ignored the announcement when it was first made – purely out of denial – but as the changeover drew near, it was clear that the relationship wasn’t going to work. The new bank’s customer service was terrible, and their interest rates were pathetic. I could still get free checking because of my balance, but they would no longer extend the same courtesy to my sons. So, it was time for a change. You may be wondering why I’m not naming names – what bank had I been with, and which bank acquired them, etc. The reason is that the point of this post is not to pursue some personal vendetta against the banks that inconvenienced me. Given how common mergers and acquisitions are in banking, I want instead to offer some general advice about what to do if this kind of thing happens to your bank. So, you receive a notice that your bank – let’s call it First Sellout Bank, or FSB for short – is being bought by Acquisitive National Bank (ANB). Don’t panic – there’s usually plenty of lead time between the announcement of a bank acquisition and its implementation. However, you should start gathering some information. This doesn’t mean you are necessarily going to leave ANB, but since you are being forced to change anyway, you might as well compare to make sure you are getting the best savings account rates, checking account fees, and credit card deals available. Rates. Shop around to make sure that you are getting the best bank rates available, either when you are forced to switch to ANB, or by transferring to a bank of your choosing. Likewise, look at the interest rates and fees charged on any credit cards affected by the acquisition, and the fees on checking accounts. Since your familiar relationships at FSB are being disrupted anyway, this might be a good opportunity to consider an online bank. Online savings accounts often pay higher interest rates, and online banks are more likely to offer free checking. Relationships. Speaking of relationships, it’s not just the relationship between you and FSB that may be disrupted. Banks look at relationship banking in different ways – some consider all accounts from one family together when deciding who qualifies for what special treatment, while others look at each account separately. I was faced with the prospect of going from a bank which looked at the relationship broadly to one that looked at it narrowly, and that was one of the deal-killers. Rewards. If your bank credit card is being acquired, make sure you determine what will happen to any credit card rewards that you have amassed. If they are not being carried over in-kind, you should cash them in before the acquisition becomes effective. Similarly, if you decide to cancel a card, cash in your points before you do. If you decide to make a change, it’s best to do it before the merger becomes effective. That will save you having to go through two sets of changes, and possibly having some accounts temporarily unavailable. Companies always send out a stream of happy talk to customers and the press when a merger or acquisition is going on. You’ll hear about how your service will be uninterrupted, and how you’ll ultimately benefit from synergies between the two institutions. The reality is that these deals are usually disruptive for both the acquired and the acquiring institution. The products and procedures you are used to working with will change, and you’ll be dealing with employees who are likely to be overwhelmed, confused, and often unhappy. So, be ready to act, but don’t jump ship until you’ve made a careful comparison of whether a change would really benefit you. After all, there’s no telling which will be the next bank to get eaten. I am an ING member. Do you think switching to Emigrant Direct might make sense or is the new bank going to keep the savings rate? Good post. I had a similar experience when Sterling Bank was bought out by Comerica in Houston. Lots of problems in the changeover. Oh, and BTW, don’t EVER DO ANY BUSINESS WITH WellsFargo. They are really bad dudes, trying to screw you at every turn in the road. As far as RELATIONSHIPS are concerned, I don’t think you can forget about the personal ones that you have established with your bank’s personnel, especially if they will still be working at FSB. Others things that have happened to me: change of opt-out procedures, change of daily limits on POS/ATM, change of online web site design, change of ATM networks. In some ways, it is easier to find a new bank instead of being surprised by changes to things that you thought would be the same. I was thinking about this recently. Never has a merger or take over has been beneficial to me. Working in small business our family business had an account with Bank United, merged and turned into a Washington Mutual. Service went down. My old dial-up ISP merged, service went down rates went up. More recently my favorite produce store sunflower market merged with spouts. The amazing prices on many items have already dwindled. 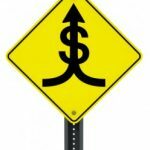 TBD (but little hope) – Qwest/Century Link merger & ING Direct’s merger. When I hear of a business merging I cringe knowing the best experiences have passed. When Wells Fargo took over Wachovia, that was my impetus to switch over to a credit union. Boy am I kicking myself for not doing that 10 years earlier. Good post! This recently happened to me, and it was anything but uninterrupted! The bill pay system was completely screwed up so that nearly all of my automatic payments were either late or very early. Both scenarios caused havoc in my life and many phone calls to correct the mistakes. The service also changed from offering free notary services to pay pay pay fees for everything. I think you’re right on to recommend switching before the merger. I didn’t, and I’m sorry. I haven’t personally experienced this yet, but I can imagine it’s frustrating. The reality of how banking is being done these days, is that it may simply be best to move to an online bank. Most brick-and-mortar places don’t offer anywhere near the incentives or rates that online banks do. 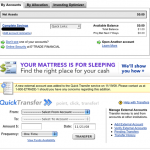 Out of 3 bank accounts, 2 of ours are online, and we use 1 local account simply for cashing checks and withdrawing cash.